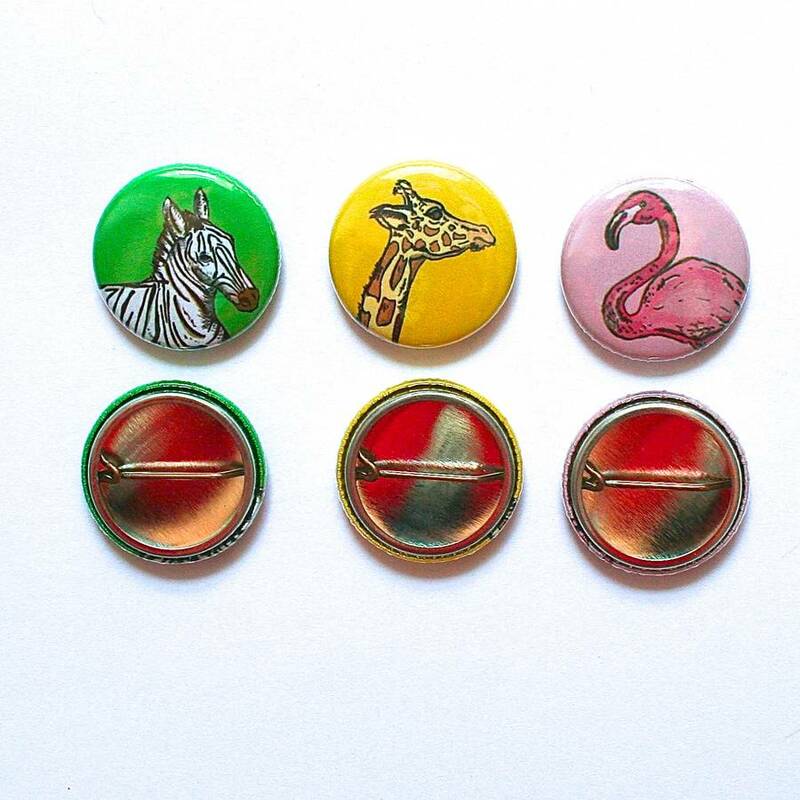 Add a hint of adventure to any outfit, with a colourful Safari animal pin badge featuring an original drawing of Flamingo or Giraffe or Zebra! 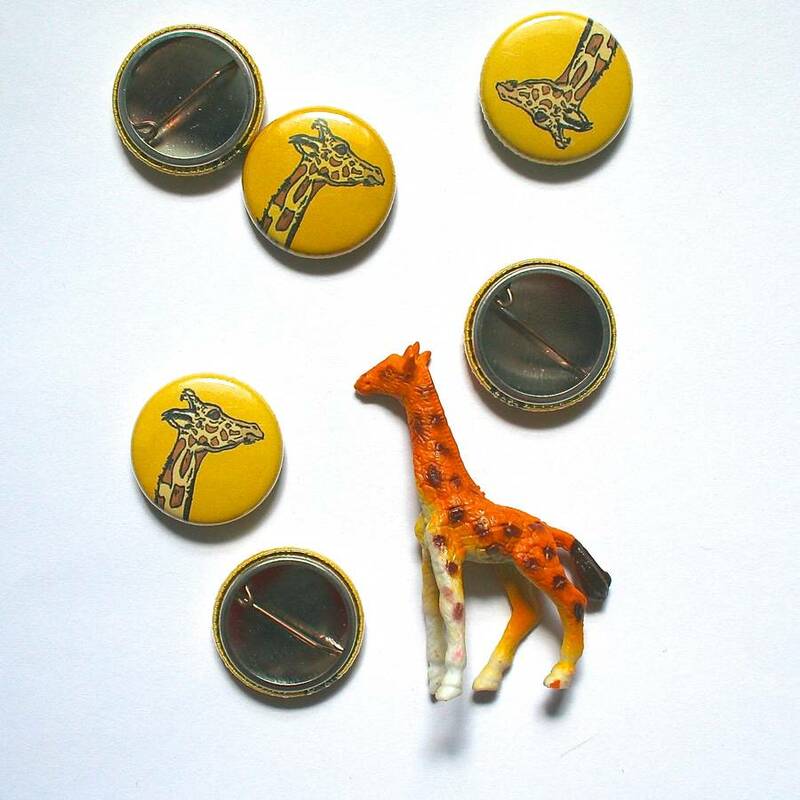 A black ink illustration - Falmingo on a pink background, Giraffe on a yellow background, Zebra on a green background - is shown on the front. On the other side is a silver pin. 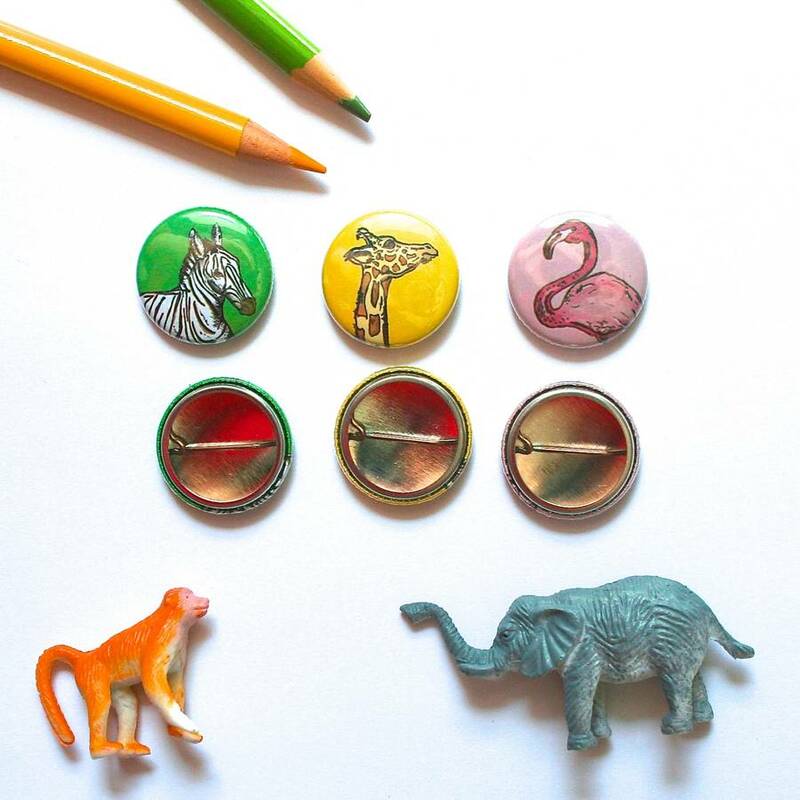 These animal badges are easy to pop onto a bag or jacket lapel, and are perfect for anyone that longs for exotic adventures, hot summers, and a splash of bright colour. 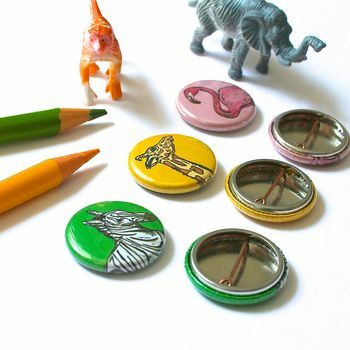 Wear whilst on a trip to the zoo or include in party bags as a little treat! 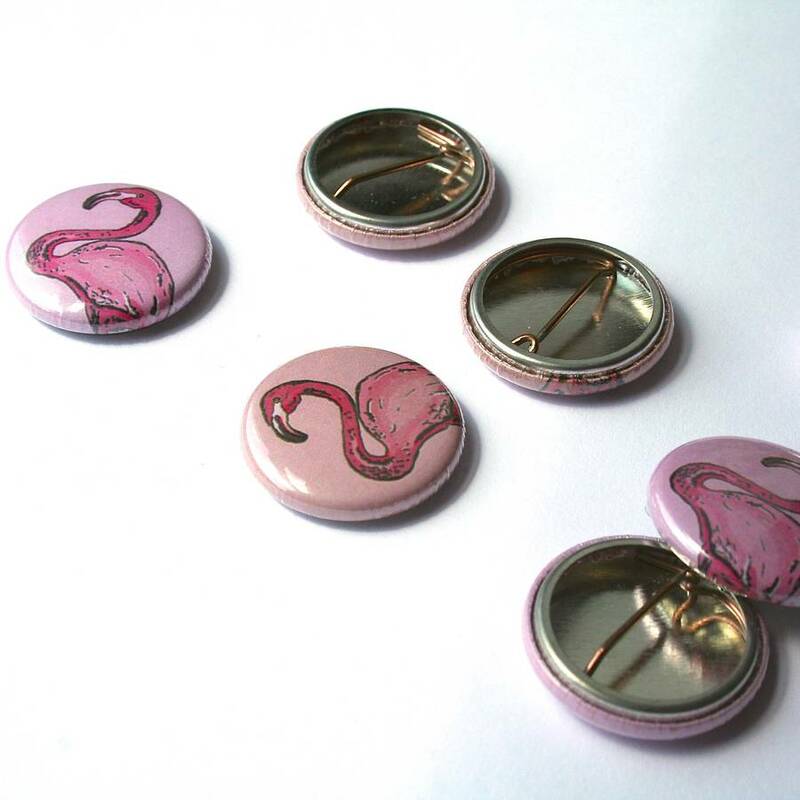 Choose from the three designs - Flamingo, Giraffe or Zebra - or get the whole set. Or why not get the Party Pack? 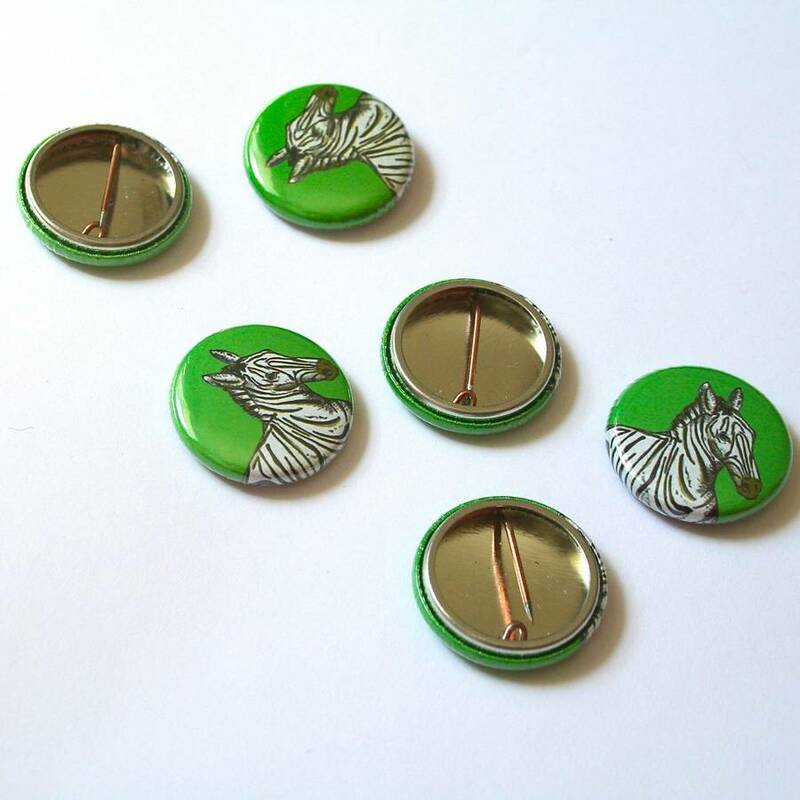 You get 24 badges, 8 each of the three different designs, at a discounted price! 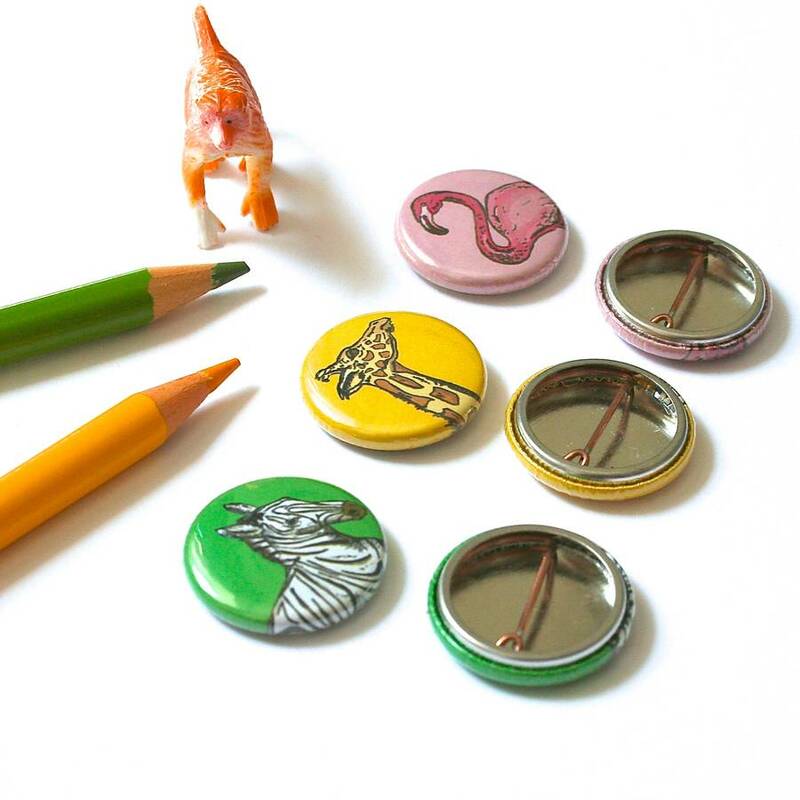 The product consists of a pin back and a beautiful full colour, pressed image from my original illustrations. Your badge will arrive safely packaged in a cellophane bag within a bubble-lined envelope. Each badge has a diameter of 2.5cm.